Your home for delicious coconut recipes! In a large bowl, mix together all the ingredients. 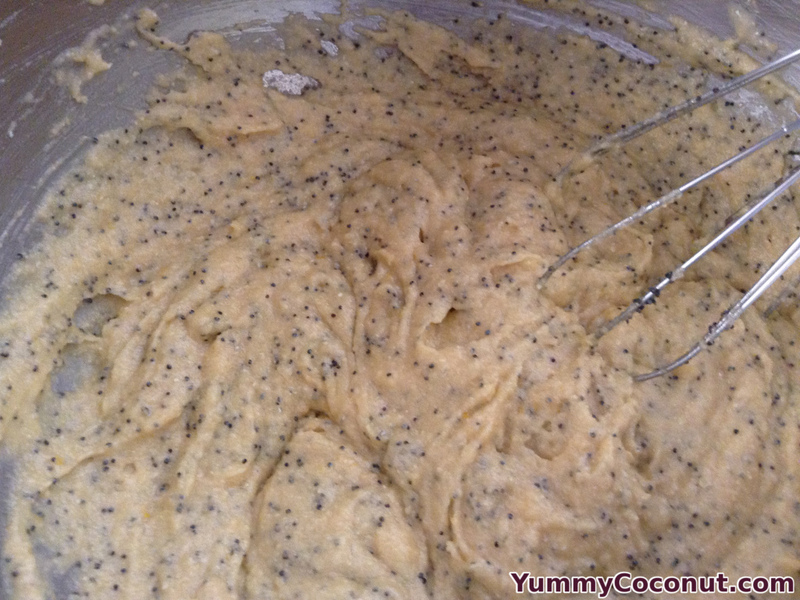 Continue mixing until there are no clumps. 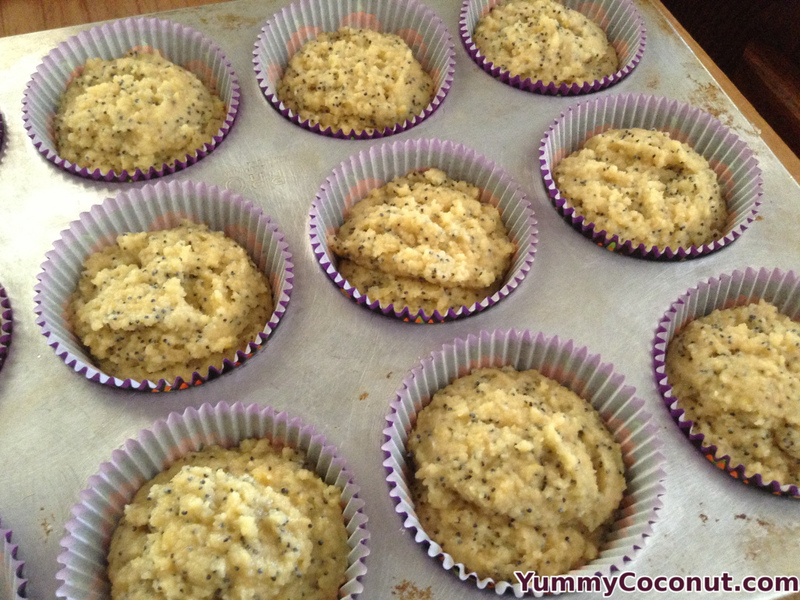 Line your muffin pan with paper cups and spoon 2 tablespoons of the mixture into each cup. 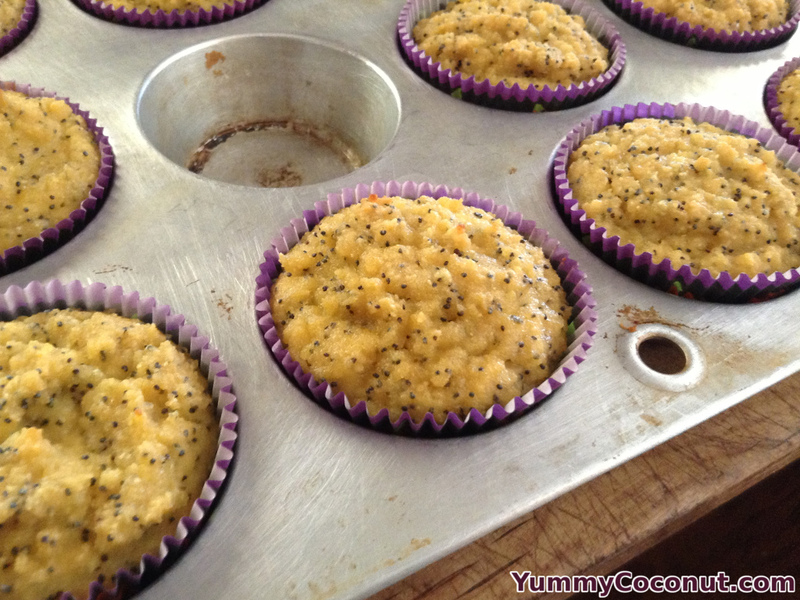 Rap the muffin pan on the counter a couple of times to smooth out the tops of the muffins. Bake the muffins for 20-30 minutes until the centers are set. Preheat your oven to 325°. Line your muffin pan with paper liners and place approximately 2 tablespoons of the mix in each one. 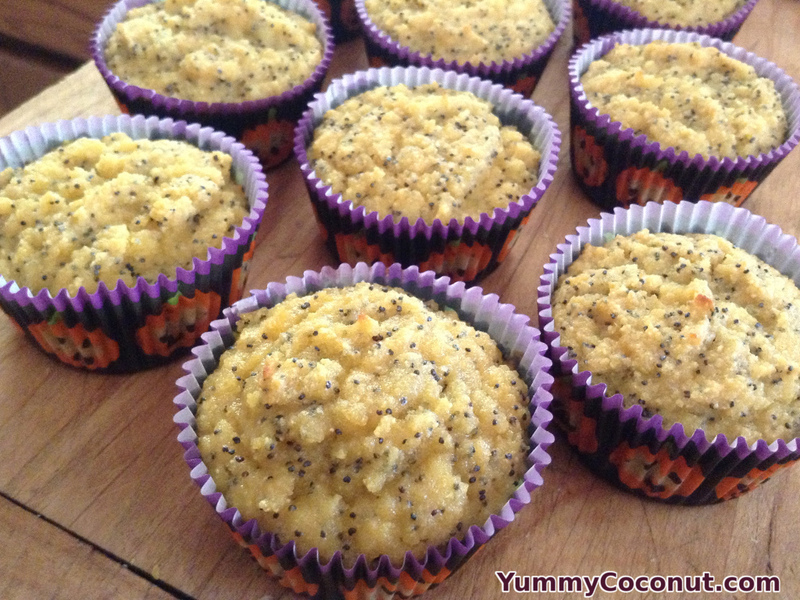 Bake for 20-30 minutes or until a toothpick inserted into the center of the muffins comes out clean. Smooth the tops of the muffins prior to cooking. The tops of the muffins will look the same as when you place them in the oven so you will want to smooth them down before they are cooked. Using paper cups is strongly suggested for this recipe. The combination of the coconut flour and eggs make for an incredibly sticky muffin that will be hard to remove from the muffin pan without using a liner. Get a muffin cup with wax so less of your muffin is left stuck to the paper cup. Add more lemon zest to heighten the lemon flavor.